This course is appropriate for SAS Enterprise Miner from release 5.3 up to 14.2. The course covers the skills that are required to assemble analysis flow diagrams using the rich tool set of SAS Enterprise Miner for both pattern discovery (segmentation, association, and sequence analyses) and predictive modeling (decision tree, regression, and neural network models). 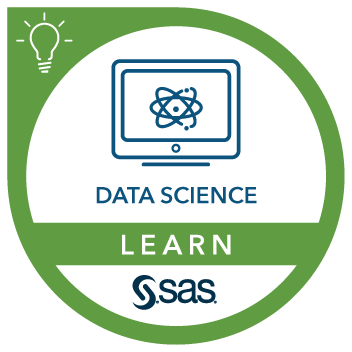 This course can help prepare you for the following certification exam(s): Predictive Modeling Using SAS Enterprise Miner. apply association and sequence discovery to transaction data. Before attending this course, you should be acquainted with Microsoft Windows and Windows software. In addition, you should have at least an introductory-level familiarity with basic statistics and regression modeling. Previous SAS software experience is helpful but not required.